Louisiana has a culture and climate unlike any other state in the nation. Steamy bayous, plantations, and cypress trees might be a few of the images that come to mind when you hear its name. Your stomach may start to rumble as you realize you’ve never tasted Cajun gumbo or sipped on a mint julep. And of course, you can’t picture Louisiana without hearing jazz music and the effervescent energy of New Orleans. Louisiana is truly a melting pot, a gumbo of its own, rich with the cultural flavors of French, Spanish, and African-American heritage. In fact, Louisiana is so unique that they don’t even call their counties “counties” – they’re called parishes. There are 64 parishes in the state, divided up into five geographical regions: Greater New Orleans, Plantation Country, Cajun Country, Crossroads, and Sportsman’s Paradise. Each of these regions and its parishes has something that makes it special and worth exploring. Whether touring the opulent southern mansions, hanging out at a crawfish boil, or taking your chances at a riverboat casino, Louisiana offers a nearly endless array of experiences. RVing in Louisiana is a popular pastime. Due to its diverse collection of state parks, forests, and campgrounds, RVing has become a great way to explore the deep south. In fact, you can check out a list of our favorite RV parks in Louisiana here. There are a handful of RV shows in the state as well. Here, we’ll cover a few of the best ones. This first show takes place in scenic Lake Charles, right on the water. The Civic Center offers panoramic views of Lake Charles and Millennium Park. The Calcasieu River borders the city to the north and several small rivers, lakes, and waterways surround the city limits. Lake Charles is a large city where Creole and Cajun culture, historic architecture, and casinos are abundant. There are several small parks adjacent to the Civic Center, and the Imperial Calcasieu Museum is just up the street. There’s an RV park just a few minutes to the east, and roughly a dozen RV parks throughout the city. Entering its 32nd year, the Annual Central Gulf Coast Boat, Sport, and RV Show is one of the largest and best-known shows in the state. 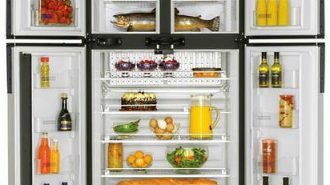 The show packs more than 80 RV brands and 50 boat brands into over 100,000 square feet of space. 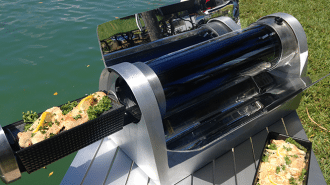 In addition, you’ll find booths for camping accessories, ATVs and other outdoor vehicles, fishing gear, campground and resort destinations, and more. There’s a handful of attractions as well, including a fishing pond and the world’s largest mobile aquarium. Tickets: $8 for adults, free for kids 15 and under. Parking is free. This show is thrown each year in Lafayette in the city’s football stadium, Cajun Field. Also known as “The Swamp,” Cajun Field is the perfect place for this large outdoor show. It’s just a few minutes from downtown Lafayette, where guests can shop, dine, and enjoy happy hour drinks and music. The city is currently undergoing a downtown revitalization project in an effort to preserve and promote Acadiana’s artistic and cultural history. There are seven museums throughout the area, including Acadian Village, a working museum with historic homes and a blacksmith shop. Help this show celebrate its 31st anniversary this year! 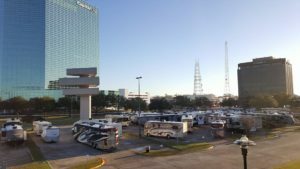 The Acadiana RV & Camping Show features RVs, boats, and camping gear from nearly 100 well-known brands. Aside from motorhomes and trailers, you’ll also find a selection of kayaks, canoes, ATVs, and camping destination booths. 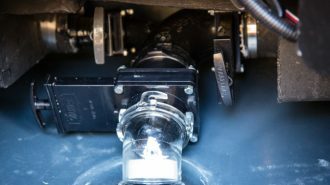 Since this show is primarily focused on the RV lifestyle, attractions include anything and everything related to RVs, including an original 1923 Model T Dream Camper on display. Tickets: $8 for adults (cash only), free for kids 15 and under. Parking is free. This event takes place in the massive Pontchartrain Center, right on Lake Pontchartrain in New Orleans. 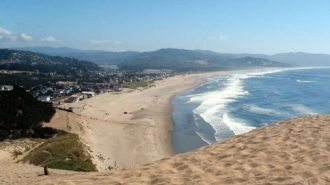 Be prepared for a wild weekend – along with countless things to do in the city; the Center is just steps away from Laketown and a Riverboat casino complex. If you’d rather not take your chances with lady luck, downtown New Orleans is just 20 minutes away, offering all the southern food and jazz music your stomach and ears can handle. If you’ve never been before, you might want to consider taking a walking or biking tour, like the French Quarter History Tour or one of the many cemetery and garden tours. 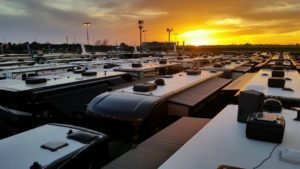 Early spring shows are always a great way to see the newest RVs and get exclusive deals. This show features the best and newest motorhomes, travel trailers, toy haulers, fifth wheels, pop-up campers, and camper vans. You’ll find models from some of the best names in the business, including Forest River, Coachmen, Newmar, Thor, and dozens more. There are educational seminars throughout the weekend that are beneficial to both new and seasoned RVers. The 1923 Model T Dream Camper is on display at this show as well, and you’ll get a chance to meet with its owners, Rod and Bob. Tickets: $10 for adults, free for kids 15 and under. Parking is free. The Southern Louisiana Boat, Sport, and RV Show is held at the Houma-Terrebonne Civic Center in Houma. The nearby Bayou Black Waterway and the Intracoastal Waterway wind throughout the area, lending the city much of its picturesque landscape. Houma has a robust cultural history with strong French and Cajun roots. Due to the surrounding swampland, Houma’s culture remained untouched as many other cities in the region became “Americanized.” Today, you can still see this in the city’s many historic sites and plantations. There are also several water life museums, boat tours, and wildlife refuges along Houma’s waterways. 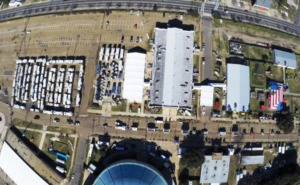 The Southern Louisiana Boat, Sport, and RV Show is another spring show that boasts the newest RVs and deepest discounts on a whopping 112 well-known brands. 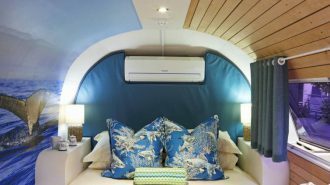 RVs include some of the best names in the industry, including Airstream, Winnebago, Monaco, Roadtrek, and many more. There’s also a large display of boats, ATVs and outdoor vehicles, camping gear, and destinations. Some of the highlights of the show include a trout fishing pond and a collection of the biggest Whitetail Deer mounts on earth. 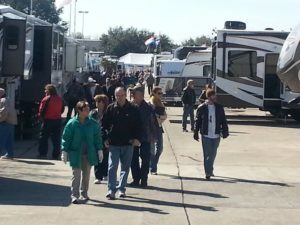 The Shreveport Fairgrounds is home to this exciting new RV show. Shreveport is a large city that sits on the beautiful Red River. It serves as a central hub for the Ark-La-Tex region, and as such, this show draws crowds from all over the three states. The Fairgrounds are convenient to downtown Shreveport, just a ten-minute drive to the east. There, you’ll find world-renowned attractions like the Red River District, the Louisiana Boardwalk, and dozens of museums and art galleries. 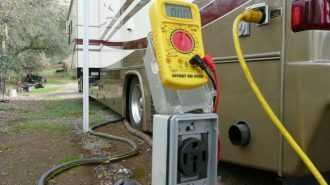 The Shreveport KOA is a quick, 15-minute drive from the fairgrounds and offers affordable RV camping with full hookups. This show promises great deals on an array of RVs, boats, and camping equipment. 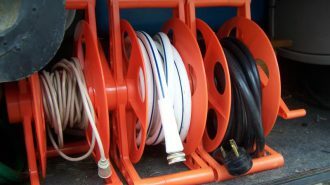 There are a handful of dealers and vendors, including Camping World, Bayou Outdoor Supercenter, and a few marine equipment companies. The selection of RVs is not enormous, but it’s diverse. However, the entertainment and attractions are the real stars of this show – it’s definitely a great place to bring the kids. Attractions include bouncy houses, bass fishing tournaments, pony rides, monster truck rides, a trout pond, and more. You’ll find delicious, authentic southern food here too – several area restaurants and diners have concession stands throughout the grounds. Tickets: $6 for adults, free for kids under 12. Parking is free. 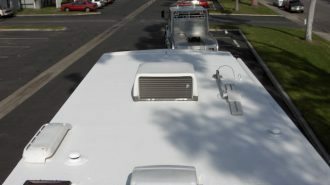 Louisiana’s RV shows are diverse in their offerings as they are in location. Whether enjoying the entertainment at the Shreveport State Fair Grounds or browsing the huge collection of RVs in New Orleans, you’re sure to have a great time, and maybe even come away with a brand-new RV! Plus, while you’re in town, you’ll get to experience one of the most unique cultural melting pots in the United States. Most of the shows in this article are in Southern Louisiana, which is rich with Cajun heritage, historical architecture, and of course, mouth-watering cuisine. Aside from its cultural landscape, Louisiana also has a varied natural landscape. 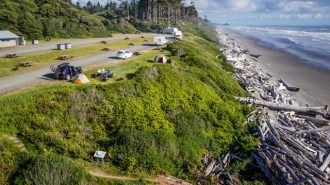 It’s an amazing place to explore in an RV, as there is a bevy of interesting parks and campgrounds throughout the state. You can experience everything from the Gulf Coast beaches of Grand Isle to the swampy forests of Lake Bistineau. If you’ve been mucking around in the bayou and need some time to dry off, the northern prairies and woodlands of the Driskill Mountain region offer a quiet place to camp for the night. RV shows draw outdoor enthusiasts of all types. 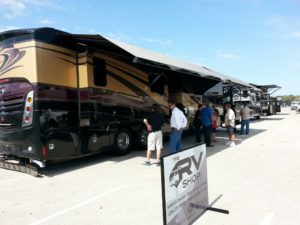 Many people attend shows to check out new RVs and find good deals. However, buying an RV is a big investment. We strongly encourage new RVers to do their research before they buy. 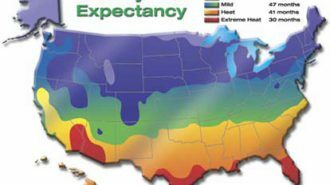 This includes renting an RV for a few days or weeks. 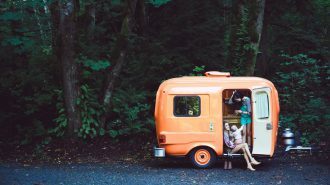 After all, there’s no better way to see which types of RVs are right for you than staying in one! It’ll help you determine which types of floor plans and driving style suits you best. Who knows? You might find out that you prefer a Class C over a Class A. The only way to know it to try before you buy. 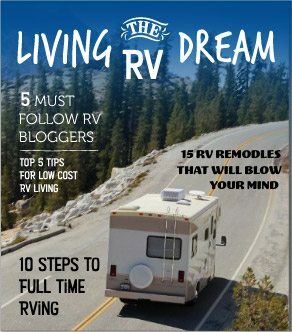 You can find a list of available RV rentals in Louisiana here. Happy trails!